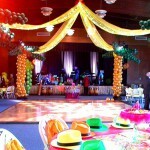 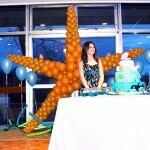 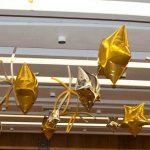 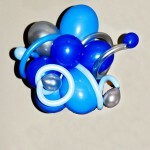 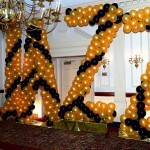 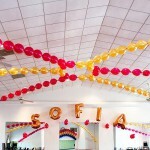 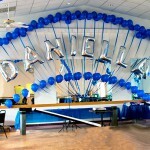 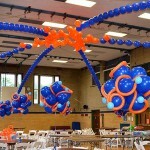 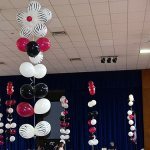 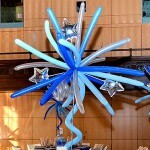 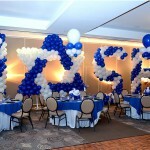 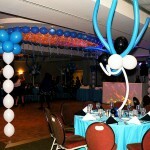 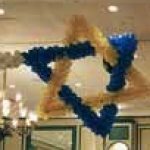 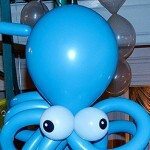 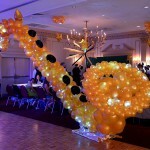 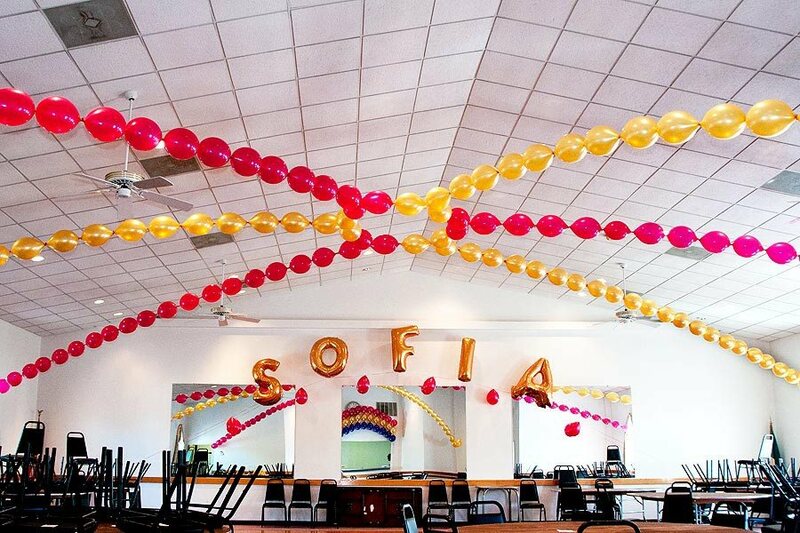 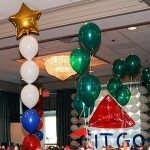 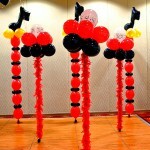 Bat Mitzvah balloon decorations. 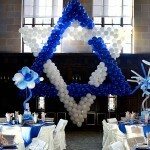 The ceiling is very high even for this relatively large room. 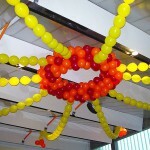 So, to utilize the space and to bring the theme colors on the colorless ceiling, we have designed the dome - room shaping sculpture. 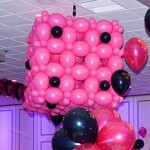 The wonderful thing about all room shaping sculptures is this: if you have no more budget - it is OK, the party is decorated! 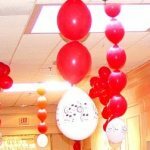 If you have a balloon arch at the door or above the cake table, 3 balloons on each table or columns on the dance floor - it is not true! 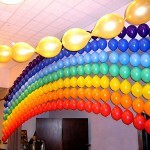 You have to balance it somehow and to bring the room together. 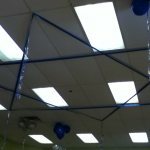 This structure does it by definition! 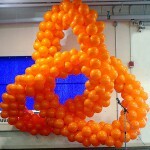 The name arch is finishing up the composition.